Contact | American Analytical Laboratories, Inc.
At American Analytical Laboratories, Inc., useful Client knowledge is our objective. Follow I-77 South to Exit 21B (Lakeshore & Boulevard) turn left on Boulevard, go approx. 3 blocks to Thornton Street and turn right. Thornton Street will take you to Coburn Street (Aldi’s is on the right). Turn right on Coburn Street and go 1 block to Voris Street and turn left. 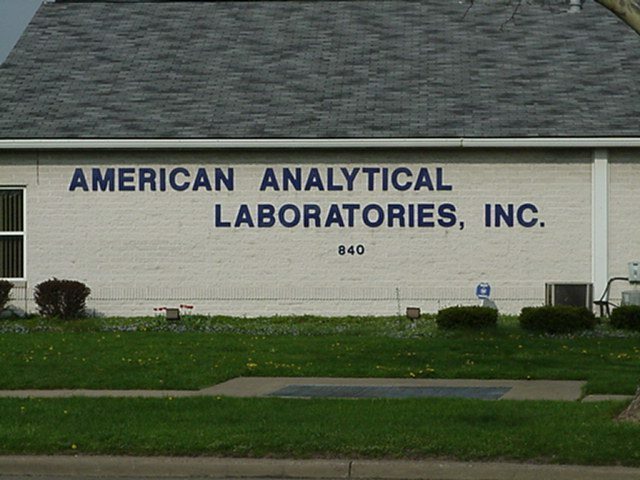 American Analytical is on the corner of Voris Street & Coburn Street. Take Route 8 (south) into Akron to Exit 1A (Buchtel Ave., Carrol St., Exchange St.) – turn Right at Exchange Street (west) to High Street (south). High Street becomes Main Street. Continue south to Thornton Street and turn Right (west) to Coburn Street and turn left (south) to Voris Street. Turn left on Voris Street. AAL is on the left side of Voris Street. Take I-77 (north) to Route 224 (west) to I-277 (north) to I-77 (south) to exit 21B (Lakeshore & Boulevard). Turn left on Boulevard and go approximately 3 blocks to Thornton Street and turn Right (east). Turn right on Coburn Street and go 1 block to Voris Street and turn left. AAL is on the left side of Voris Street. Follow I-76 West through the Central Interchange continue to follow I-77 North to the Dart Ave. exit. Turn right at the traffic light at the bottom of the exit hill. Follow Dart Ave. to Thornton Street and turn right. Thornton Street will take you to Coburn Street (Aldi’s is on the right). Turn right on Coburn Street and go 1 block to Voris Street and turn left. American Analytical is on the corner of Voris Street & Coburn Street. Take I-71 (north) to Route 224/I-76 East to I-277 (north) to I-77 (south). Exit off I-77 at Exit 21B (Lakeshore & Boulevard). Turn left on Boulevard and travel approximately 3 blocks to Thornton Street and turn right. Travel approximately 7 blocks to Coburn Street (immediately before Aldi’s) and turn right. Travel 1 block to Voris Street and Turn left. AAL is on the left side of Voris Street.